This book is the continuation of the successful puzzle-book series, which started with the “Greatest 365 Puzzles” and “Greatest 501 Puzzles” from 2012. 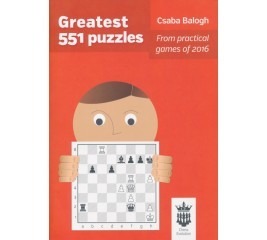 It was followed by „Tactics, Tactics, Tactics!” Volumes 3 and 4 which covered the best practical puzzles of 2013-2015 and the next ones of the series were the "Greatest 551 Puzzles" and the Greatest 550 puzzles" with the combinations of 2016 and 2017. Solving studies is well established as an effective method of chess improvement. 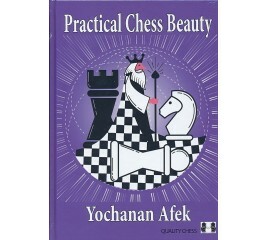 In Practical Chess Beauty one of the world's greatest study composers, Yochanan Afek, shares his finest creations. 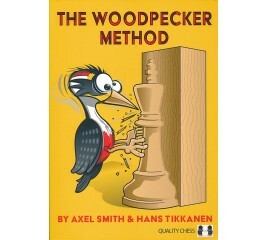 This book contains everything you need to carry out your own Woodpecker training. Smith and Tikkanen explain how to get the maximum benefit from the method, before presenting over 1100 puzzles and solutions, all of whicj have been checked and double-checked for accuracy and stability. The test positions in this instructive book cover the entire spectrum of what a modern club player should know. The reader is invited to find tactical blows, deep strategic manoeuvres, opening traps, standard endgame plans and other principles in action. 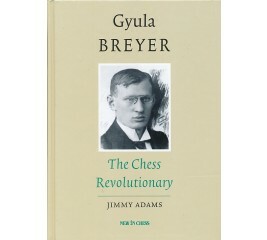 By piecing together this material in chronological order, Jimmy Adams has constructed a mesmerizing biography covering Gyula Breyer’s intense, unconventional and ultimately tragic life. Included as well is a collection of his chess problems, some of which are truly amazing. 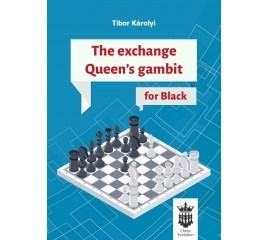 The Queen's Gambit is one of the oldest and most reliable opening which is mainly based on positional and structural understanding. 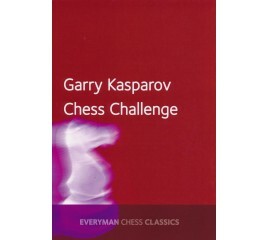 The author gives a perfect guide about it and if somebody masters it, he will be able to use it in his entire chess career. This opening will never run out of fashion, its strategical and positional ideas will not be refuted by the strong computers. 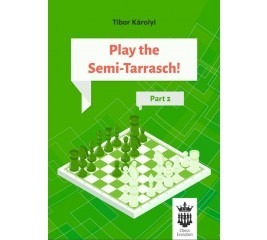 Play the Semi-Tarrasch! - Part 2 is an up-to- date release about one of the most popular openings nowadays. On the recent Candidates tournament in Berlin, this was the most frequently played opening and the analysis of the author includes all those games as well. Tibor Károlyi is an expert of this opening, he teaches it to many of his pupils and now he shares his in-depth view about this opening. 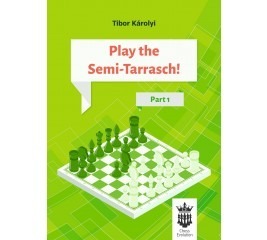 Together with the first part, the book gives the reader a full Semi-Tarrasch repertoire with black. 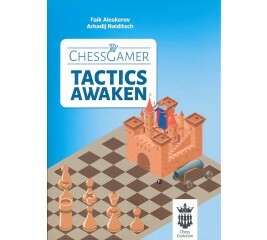 The book introduces 10 common tactical topics in chess and allows the reader to learn a lot of new ideas and practice them throughout exercises in increasing strength. 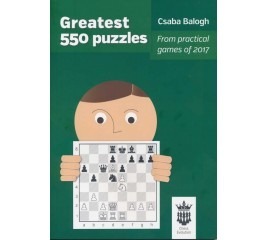 The book is recommended for sub 1600 rating level and good also for coaches as teaching material for starting chess lovers. There are 40 exercises, growing in difficulty, starting with the easy ones and finishing with the most complicated. The solutions for each chapter can be found at the very end of the book. After you have worked through the 10 topics, you will find yourself at the test section, where you can challenge your new-found knowledge. Play the Semi-Tarrasch! - Part 1 is an up-to- date release about one of the most popular openings nowadays. On the recent Candidates tournament in Berlin, this was the most frequently played opening and the analysis of the author includes all those games as well. Tibor Károlyi is an expert of this opening, he teaches it to many of his pupils and now he shares his in-depth view about this opening. 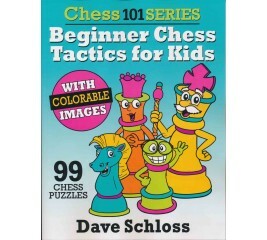 Beginner Chess Tactics for Kids is a workbook containing 99, one-move tactics puzzles covering hanging pieces, forks and pins for kids with a playing level of 1000 or less. Each chapter contains 33 different puzzles with the answers found on the following page in picture form. Also, to be more realistic, the puzzles are approximately a 50/50 mix of "white to play" and "black to play". This book is the continuation of the successful puzzle-book series. It contains 550 puzzles divided into 3 chapters. You will find a huge range of tactical ideas that you can use in your own games! All the puzzles have been collected from practical games throughout 2017. 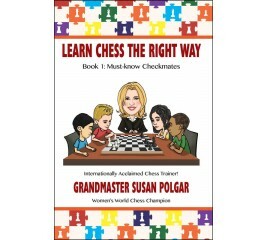 Learn Chess the Right Way is a five-volume chess puzzle book series aimed at the novice, beginner and intermediate level player, using the unique methods of the award-winning coach and former world champion Susan Polgar. 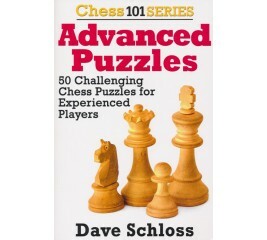 It introduces the most important checkmate and material-winning tactics, as well as defensive techniques to the new chess player. 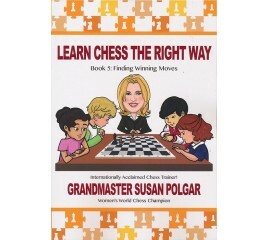 Book 5 focuses on learning how to find the right continuation in critical positions of a chess game. 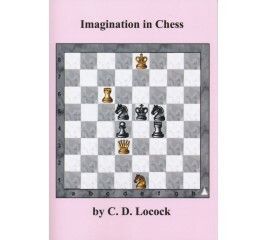 In the first four books of this series, the reader was introduced to all the most important, basic elements of chess tactics to win material or to checkmate. 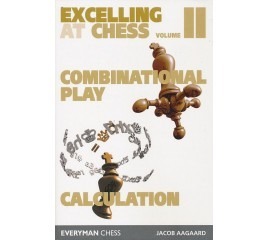 Brought together in one volume are two of Jacob Aagaard's great books- Excelling at Combinational Play and Excelling at Chess Calculation. Can you be a Positional and Tactical Chess Genius? 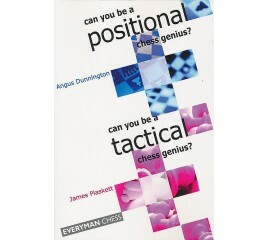 Brought together in one volume, two Everyman Chess classics: Can you be a Positional Chess Genius? and Can you be a Tactical Chess Genius? 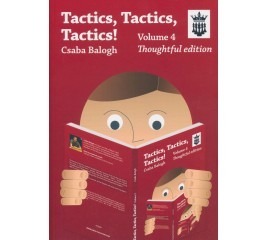 Test your tactical chess skills with a quiz book with a difference! Grandmaster James Plaskett, a player of distinguished tactical ability, has carefully assembled an abundance of chess puzzles to test players of all levels. 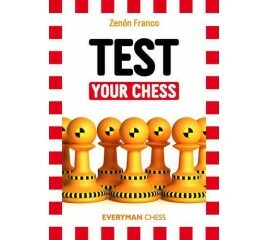 Test your positional chess expertise with a quiz book with a difference! International Master and experienced chess teacher Angus Dunnington has carefully assembled an abundance of positional chess puzzles to test players of all levels. Brought together for the first time in one volume are Chris Ward's three highly original and instructive "test yourself" books in which he invites readers to solve a selection of carefully chosen puzzles. The positions are aimed at club players who are looking to hone their skills in order to climb further up the ladder. 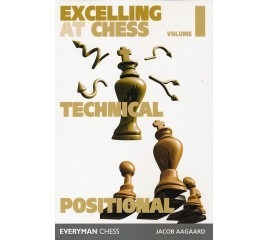 Brought together in one volume are two of Jacob Aagaard's great books- Excelling at Technical Chess and Excelling at Positional Chess. 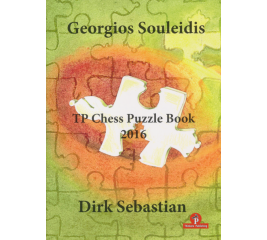 International Masters Souleidis and Sebastian started for Thinkers Publishing (TP) a yearly new series of exercise books. They selected for their first volume an exceptional amount of great tactical themes and puzzles. The authors have only one message for the devoted chess player: focus and exercise! 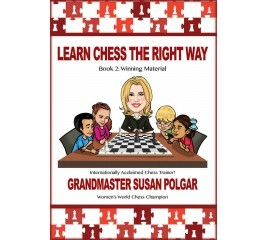 Learn Chess the Right Way is a five-volume chess puzzle book series aimed at the novice, beginner and intermediate level player, using the unique methods of the award-winning coach and former world champion Susan Polgar. Volume 4 is all about exercises where you have to make a “sacrifice” for a material gain or even checkmate. This collection of studies by the remarkable Russian chess composer Alexey Seleznev (1888-1967) will not only wrap you in the amazing world of beautiful and memorable ideas, developed here to perfection. 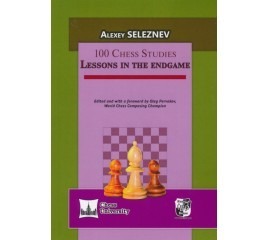 It is also an indispensable chess study aid - Seleznev's problems are closely integrated into practical play and most of them are self-contained lessons. The accuracy of of these compositions is backed up by modern computer analysis. The new book contains 551 puzzles divided into 3 chapters. You will fi nd a huge range of tactical ideas that you can use in your own games! All the puzzles have been collected from practical games throughout 2016. This is the complete introduction to the endgame study. 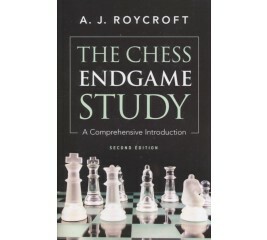 Roycroft writes the history of endgame study with its international roster of great theorists and composers; he directs an encyclopedic discourse to all varieties of chess lovers — casual solvers, composers and connoisseurs, analysts and judges; and he offers over 400 endgame studies dating from ninth-century Arabia to the present. 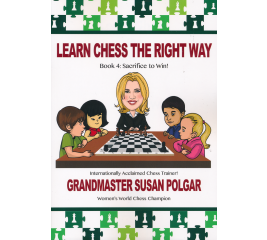 Learn Chess the Right Way is a five-volume chess puzzle book series aimed at the novice, beginner and intermediate level player, using the unique methods of the award-winning coach and former world champion Susan Polgar. Volume 2 is all about “winning material” exercises. In each of the first six chapters a certain piece captures an enemy piece . 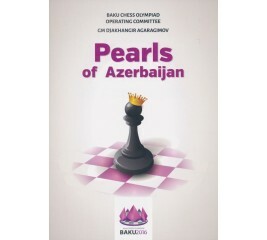 In this book you will find the brightest and most sparkling selection of tactical masterpieces from Azerbaijani chess players. The 557 puzzles have been carefully selected and designated into 3 categories: easy, medium and difficult, in order to attract not only the professional player but also to share the joy with all chess lovers. Test your chess skills with the world champion! 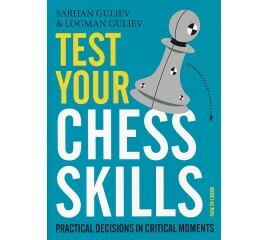 In this stimulating book, Garry Kasparov selects the best chess combinations from recent grandmaster play and presents them in a test-yourself format that all players will enjoy. Each chapter demonstrates the tactical properties of a particular piece, with a series of puzzles of varying difficulty. 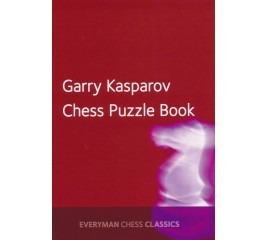 r.
In this stimulating book for players of all ages, Garry Kasparov selects the best chess combination from recent grandmaster play and presents them in a test-yourself format that everyone will enjoy. Whether you are a beginner discovering chess tactics for the first time or a master seeking to brush up on your skills, this book is sure to be a useful addition to your chess armory. 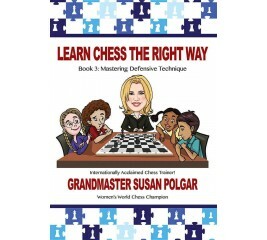 Learn Chess the Right Way is a five-volume chess puzzle book series aimed at the novice, beginner and intermediate level player, using the unique methods of the award-winning coach and former world champion Susan Polgar. 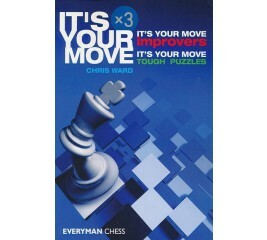 In Book 1, the focus is on one-move checkmate exercises. In each of the first five chapters, a specific piece delivers the checkmate. Many puzzle books are based on artificial positions or selected only for their beauty. The concept of this book is different. The highest priority is to “use the practical side of the puzzles” and take the level of calculation to a completely new dimension. This is a collection of problems and puzzles selected by Charles Dealtry Locock, a British Amateur Chess Champion, which he found to be the most valuable in teaching his students how to attack. These are problems which have a practical application. The author used them to teach attacking chess to hundreds of students. 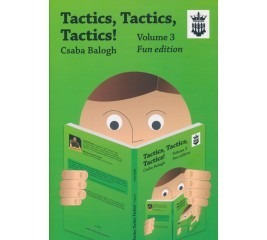 The theme of this book is how to use your imagination to develop a winning attack. Tactics, Tactics, Tactics! 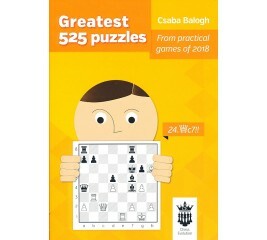 Volume 3 is the continuation of the successful series of the "Greatest 365 Puzzles" and "Greatest 501 Puzzles" from 2012. The book contains 551 puzzles. You will find a huge range of tactical ideas, what you can use in your own games! All the puzzles have been collected from practical games from the beginning of 2013 to the middle of 2015. Great combinations by Carlsen, Caruana, Anand, Topalov and many more Top players. In each section the puzzles are sorted according to the date of the game. 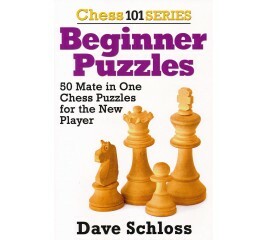 This condensed, 55-page puzzle book contains 50 Mate in One chess puzzles for new players. They start out fairly easy and gradually increase in difficulty. Grandmaster and renowned chess coach Zenon Franco provides a training course designed to help all aspiring players to improve their chess. During each lesson, you are invited to play a 'game' in which you try to find the best moves at all the important moments.